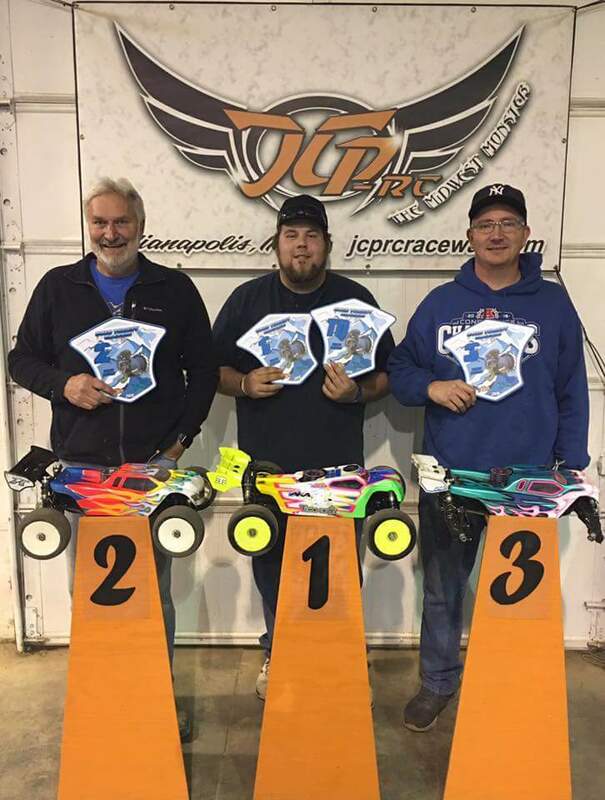 "Traveled out to WOCRC to race their Fall Season Finale trophy race and decided to run four classes; 4x4 SC, 1/8 Pro E-buggy, 1/8 E-truggy, and 1/8 Nitro Buggy. My Teknos were amazing all day giving me all four TQs after qualifying. 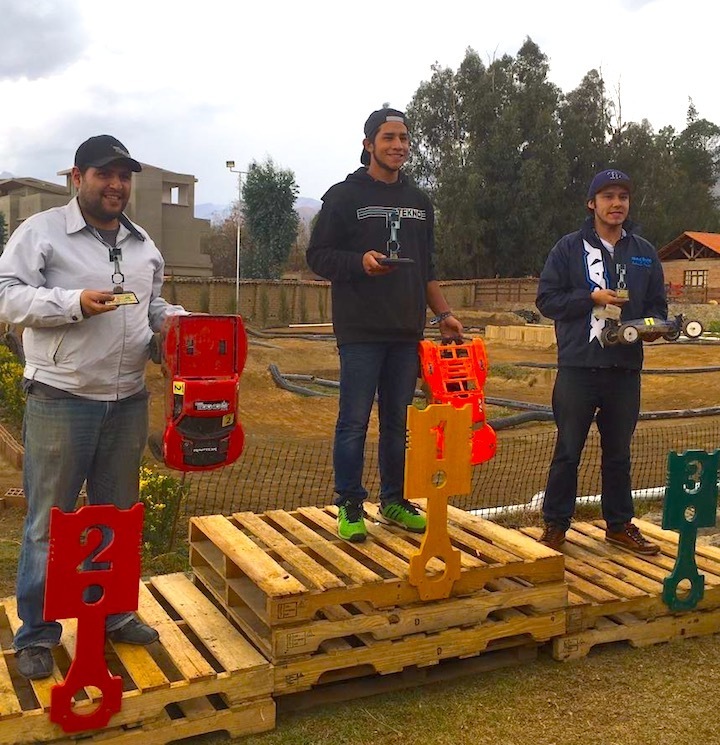 The mains also went great, pulled away in every class and ran my race for all four wins! Getting four TQs and four wins in one day felt great. No problems with my cars all day." 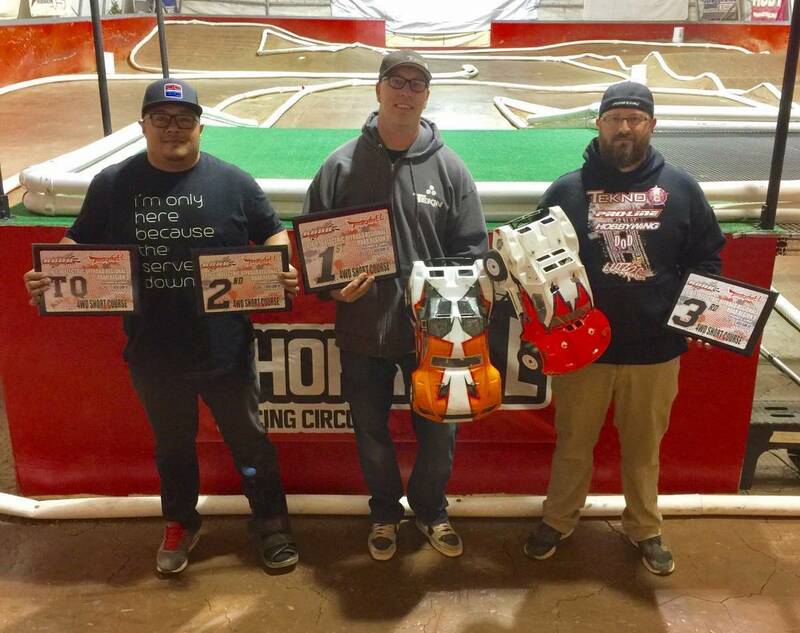 "This was the inaugural Rumble On the Rug race at Tyler RC Complex, a new facility featuring a carpet track with modular jumps that can be converted to on-road, very cool facility (halfway between Dallas, TX and Shreveport, LA)! Being my first experience on carpet, I struggled throughout qualifying. 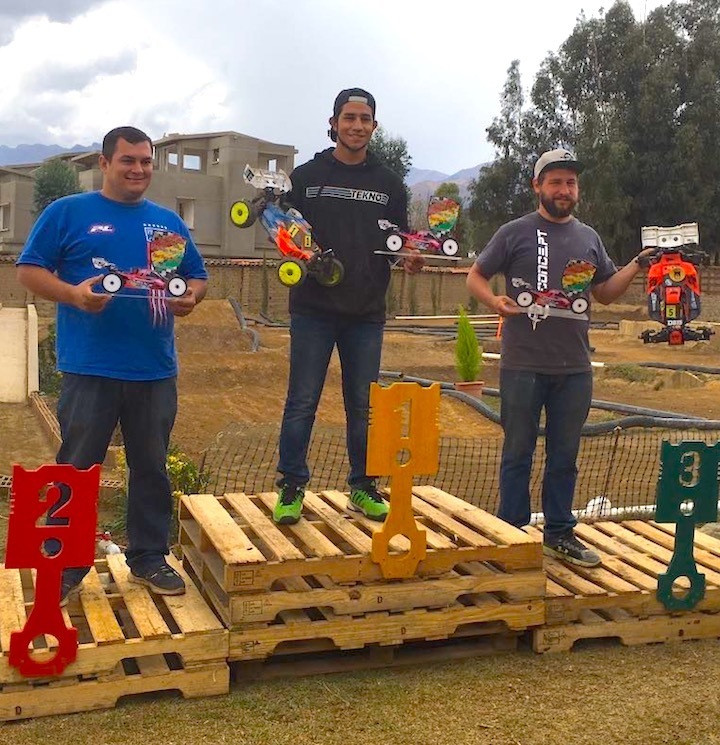 After some suspension changes and more importantly a tire change, I was able to salvage the day pulling out the win in 4wd SC and 2nd in 2wd mod SC. 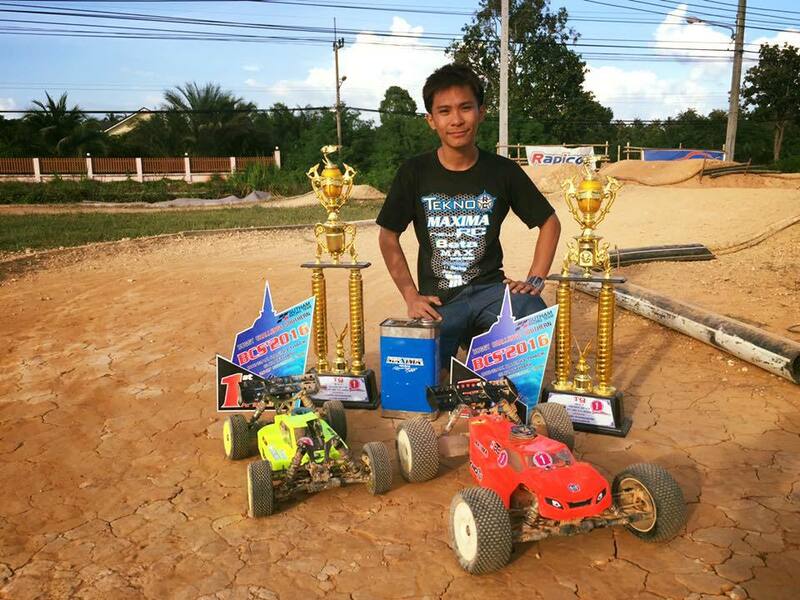 I was also running 3rd in 4wd mod buggy but had a mechanical failure half way through the race." 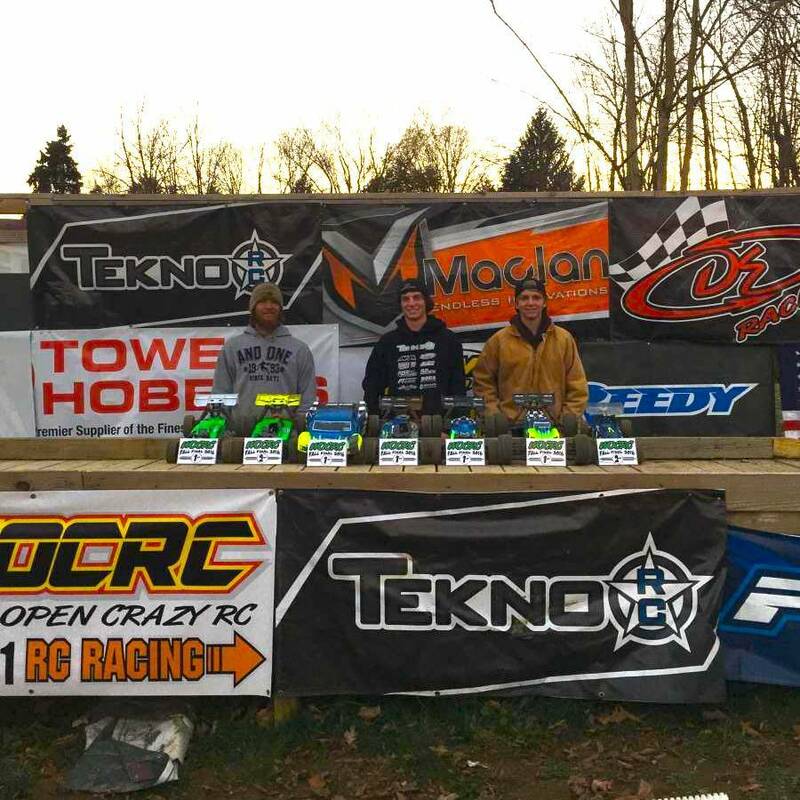 "The Thornhill crew built a very challenging layout for this event. The track is hard-packed and covered with a traction compound, which results in a high bite surface. I got comfortable on the track pretty quick, and the SCT410.3 was handling well. A clean run in Q1 put me on the top of the qualifying list, and I decided to try some different tires for Q2 and Q3, but it made the truck a bit harder to drive consistently on the high-bite surface, and lost TQ by 3 seconds. A double main format was used. After following the leader closely for a few laps and Aaron Royston closely behind, the 3 of us battled for several laps until I was able to break away and put some distance on second to bring home the A1 win. 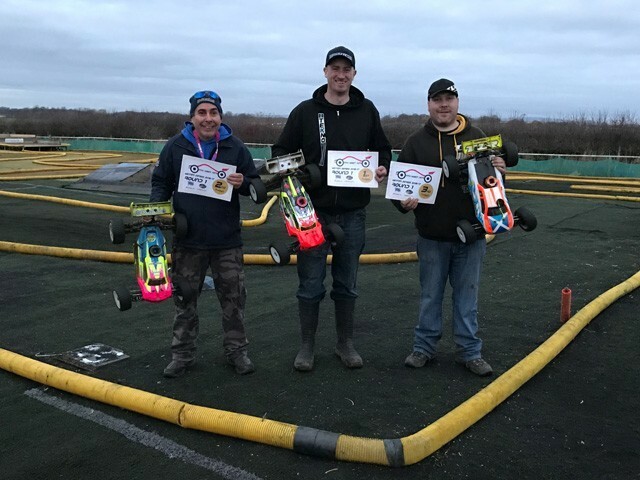 A2 was a bit less eventful after making some minor changes, I slowly pulled away to take the overall with teammate Aaron Royston taking 3rd and Moe Chevarie taking 4th." "The AKA Sprint cup run on Saturday night was two rounds of qualifying followed by speedway style top 10 shootout. 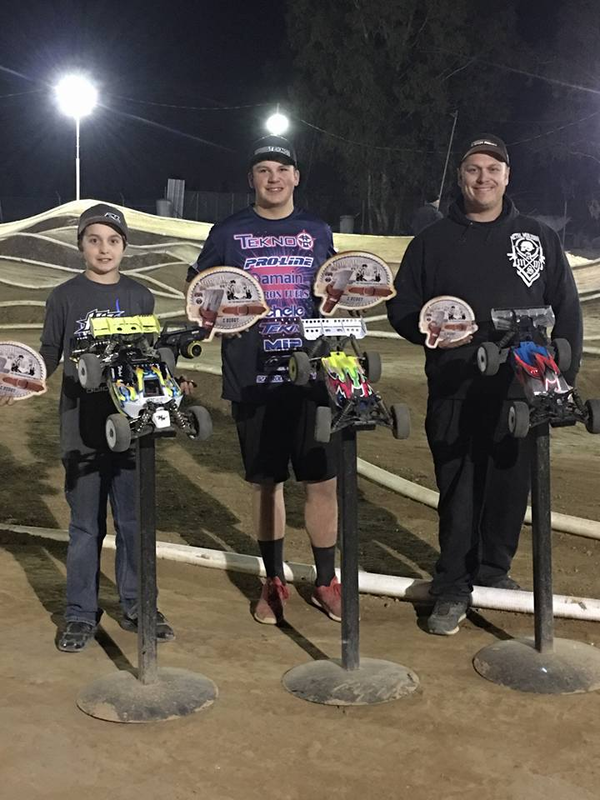 Kyle Francis wins both qualifiers in his NT48.3 Truggy, goes on to dominate the shootout and then wins the A-main. "Truggy was dialed! ", commented Kyle, even though it was the first event running Sweep's new Defender truggy tire. The truck performed flawlessly!" "Another great day of racing at the 510 in Foley, MN for the Novembeard Trophy Race. I was racing Pro4, Pro2, and Stock Buggy. Qualifying went great all my cars were hooked up and feeling great. I was able to take TQ in all three classes. Going into the mains I was confident in my cars. 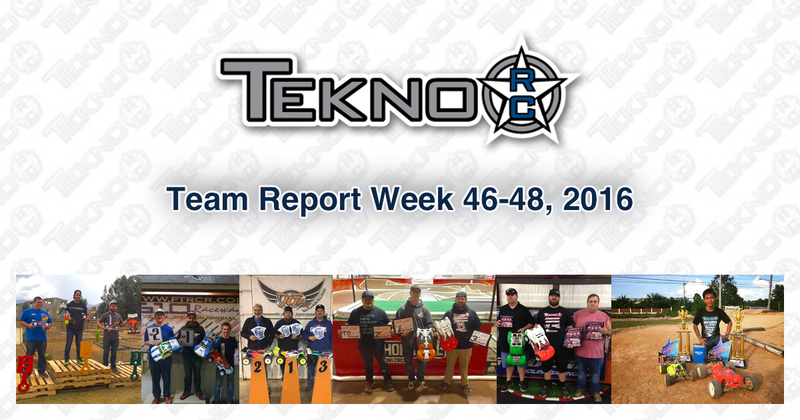 Fortunately starting TQ in the Pro4 Amain helped with a very full track of 12 Tekno 410s, 6-foot lanes and trucks flying everywhere! I managed to stay out of the crashes while having a close battle with Sam Sovacool and Seth VanDalen to end up with the win. Special thanks to Ben Sovacool for running the show and Sean VanDalen for the great facility. 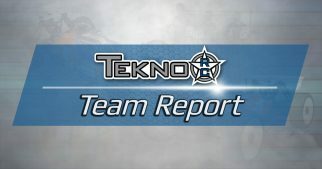 Also thanks to Tekno for the high performance products." "It was once again time for the annual North vs. South race held at CVR Raceway in Madera, CA. Practice was all day Friday, and since I'm pretty familiar with the track, I had a good base setup for my E-buggy. Ended up not having to change a thing over the weekend. We ended up with around 100 entries which would make for a long day of racing for a 1-day event! Had a few mistakes in the first round, which put me in 3rd. Feeling confident going into the 2nd qualifier, and only made one mistake but my pace was definitely faster than the first round. 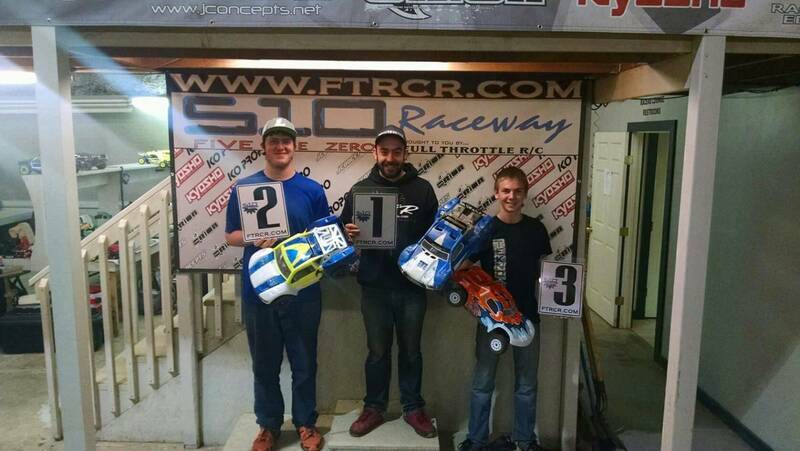 In the end, I would grab the overall TQ going into the main ahead of Austin Blair and CJ Jelin. Making nearly zero mistakes, I was able to stay out front and take the win in the 8 minute final!" "Another year for the cold turkey classic. Practice was decent as the track held moisture from the night before. Qualifying took place, and the track started drying out and made the pace a lot faster. 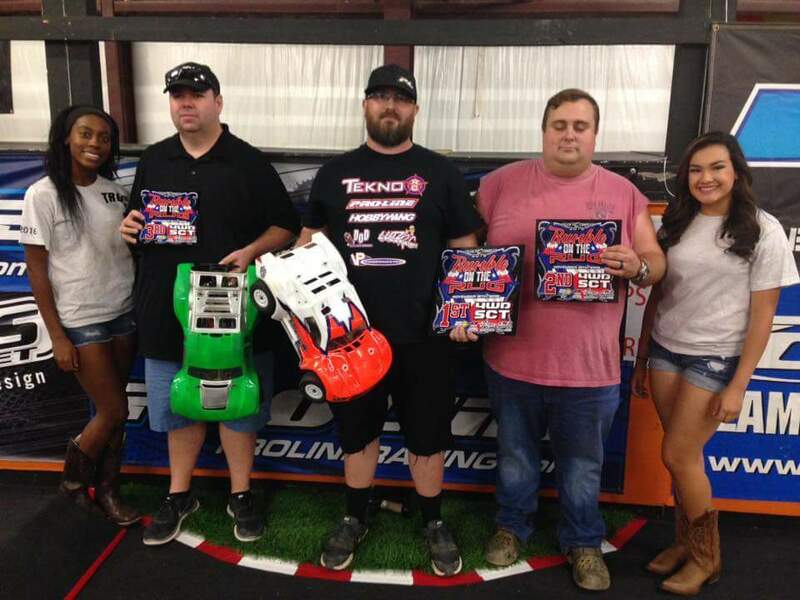 JCP-RC Raceway put on quite the show as Nitro Truggy had a larger turnout than E-buggy and Nitro Buggy combined! Mains were fun from start to finish as I led from tone to tone. Everyone was highly impressed with the way the NT 48.3 handled and looked indoors!! I was approached by a few drivers stating the truggy looked like it was on rails!! Bryan Seitz and the JCP crew did a fantastic job running the program faster and easier than any other!!" 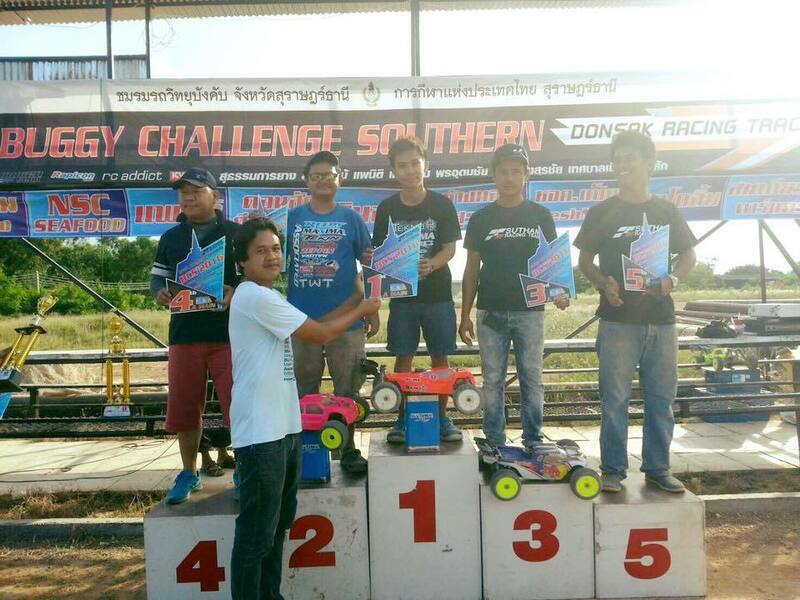 “I attended the 5th round of the "Buggy Challenge Southern” in Donsak, Suratthani. While very challenging, I decided to race both Nitro Buggy and Nitro Truggy without having the chance to practice before the event. While short, the three 10-minute long qualifying rounds turned out to be enough time to work on setup and become accustomed to the track. 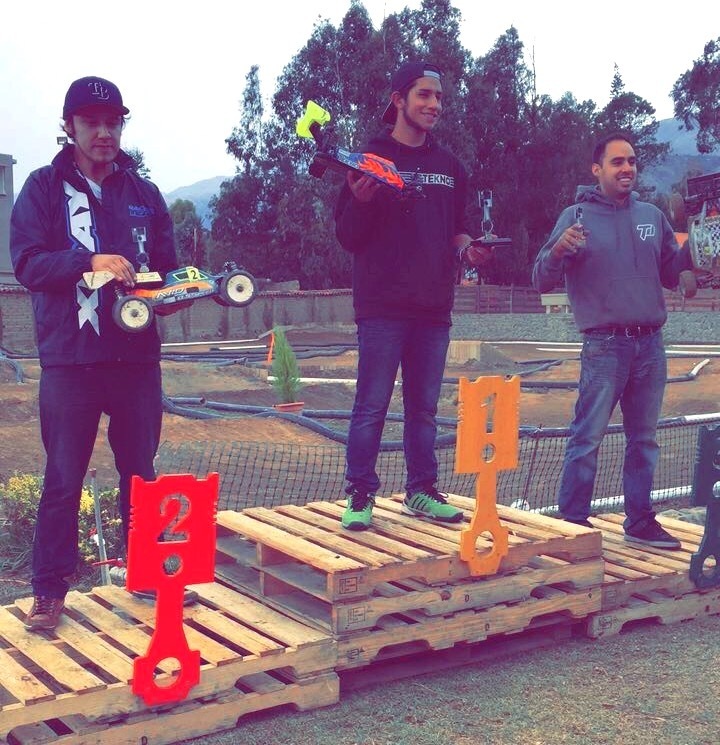 Despite the difficult conditions, I was able to TQ and win both classes. 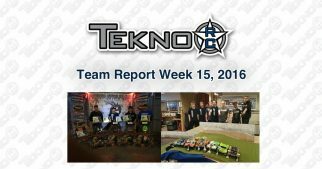 My Tekno RC cars worked flawlessly without any problems throughout the race and I would like to thank Tekno RC for the support!" 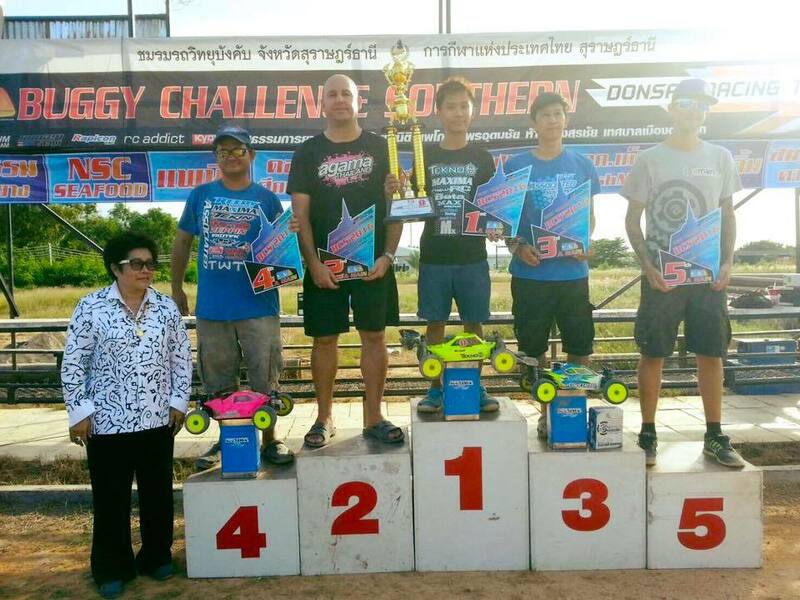 "The event went pretty well and the track was awesome. It was challenging as there were many features never seen before. My cars felt amazing all weekend with only minor changes as the track got bumpy. Managed to TQ Nitro Buggy, E-buggy, and Short Course classes! Finals day was fun with a lot of close racing and rain all day which made ultra high traction." 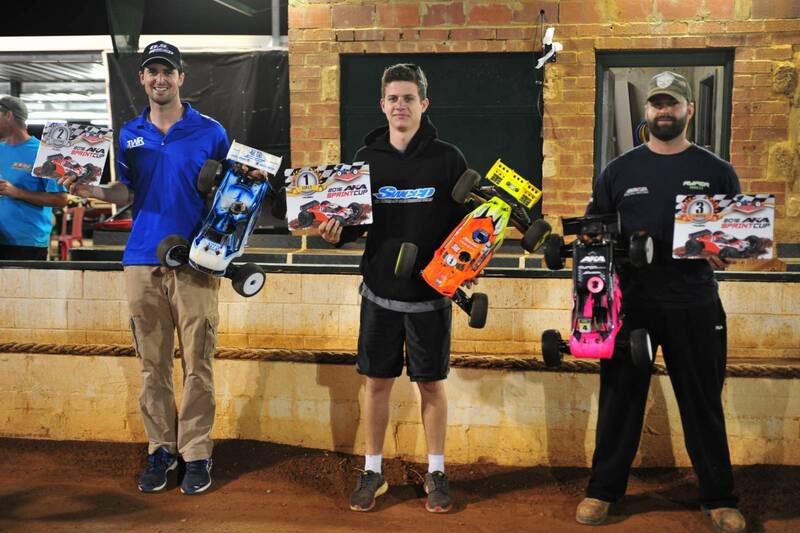 "This weekend the Tekno Team visited the opening race on a brand new astro track by the North West Nitro Club. The NWN Team had put in a lot of work to get the track ready in time, and the layout was done to replicate the recent worlds track in Vegas. A great entry for the race saw over 50 racers ready to test out the new track. In Truggy James Hargreaves and James Phelps were representing Tekno. Hargreaves was debuting his NT48.3 for the first time, and Phelps running the ET48.3 but also cracked out his new MT410 in some qualifiers just for the bants! Looked like great fun though and no question got the prize for best wheelie of the day! James would start in P3 in the main final, took the lead three laps into the main and lapped the whole field!"